Welcome to the January Intelligentsia. #33: A from Are You Kidding Me? Several times over the past couple of weeks, Intelligentsia Member Ana has blogged about the push-pull between trying to change yourself and resolving to just get through the day, accepting yourself as you are. This tension has become particularly relevant to me lately too, given my recent illness (which, by the way, now has a diagnosis, and since some of you have been asking, thanks, I am now better than I was but by no means fully functional). Normally, I am someone who loves to challenge myself. 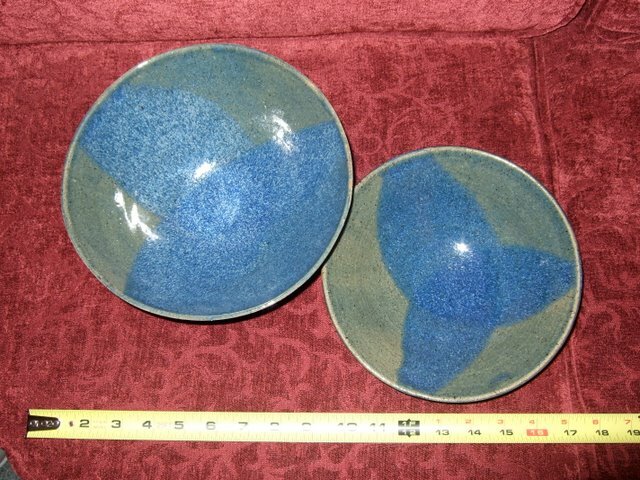 In pottery, instead of working on things that I already know how to do, I constantly push myself with new techniques, new shapes, new sizes. I chose a career that involves constant mental stimulation, and even more than most in my field, I seek to learn new things and master new sub-areas. A couple of weeks before I got sick, I decided that I would soon undertake a new fitness regimen; deeming yoga too easy, I decided that I should take up Pilates. Right now even with all of the medications, I can’t do a downward dog for more than a few seconds before my wrists give out. Meanwhile the students around me, most of whom are in their 60s and 70s because I am only taking the “gentle” and “slow” and “therapeutic” classes, stay upright the whole time. It’s not a competition, I know that, but if a 70 year old woman with a full cast on her arm held a pose long after you’d flopped to the ground, you’d make comparisons too. Competitiveness aside, or perhaps because of that competitiveness, it turns out that yoga is exactly what I need right now. The first yoga class I took after my initial recovery from being unable to walk or do anything with my arms really cemented this fact. The class focused on Moon Salutations. I’ve done yoga hundreds of times over the years, and almost every class has focused on Sun Salutations. I didn’t even know that there was such a thing as Moon Salutations. The teacher talked about how even in yoga people are typically trying to push push push, and that on this day we’d do something else. How most exercise is about compression, and that we were trying to expand. Most yoga focuses on yang, but that day we accepted the yin. Yin, that’s what I need. Perhaps if there’s anything good to come out of this illness, it is yin. There is still room in my life to work on becoming, which is my natural state, but now I get to practice just being. Not just during yoga, but in my daily life: accepting limitations, slowing down, taking a literal and figurative breath. 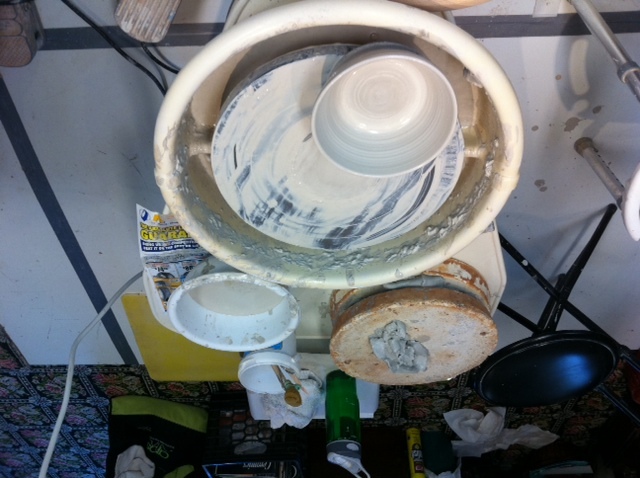 I have blogged many, many, many, many, many times about zen non-attachment as it pertains to pottery. I’m quite good at yin when it involves a breach in yang. I’m not so good at yin for its own sake, yet. And yes I realize that trying to improve on yin is in itself not yin. I can’t turn off yang entirely; I can’t stop being me. But maybe now I’ll find a little more balance. How is your balance between yin and yang, between slow and fast, between accepting and pushing, between being and becoming? P.S. Big big points to anyone who gets the reference in the title of the blog post without Googling. It’s the fourth Monday of the month, which means that it is Perfect Moment Monday! 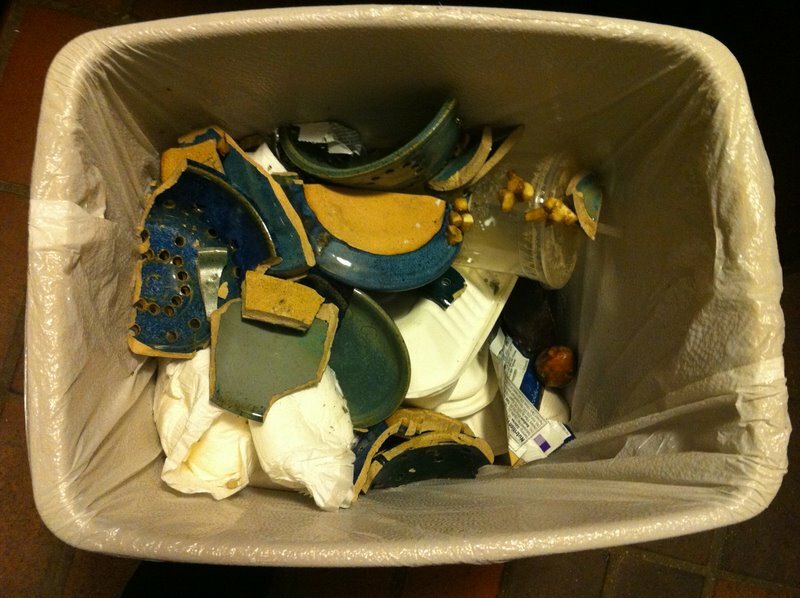 I’ve written over and over about unfortunate pottery incidents that have happened over the years. There are so many things that can go wrong, at every possible point in the process. 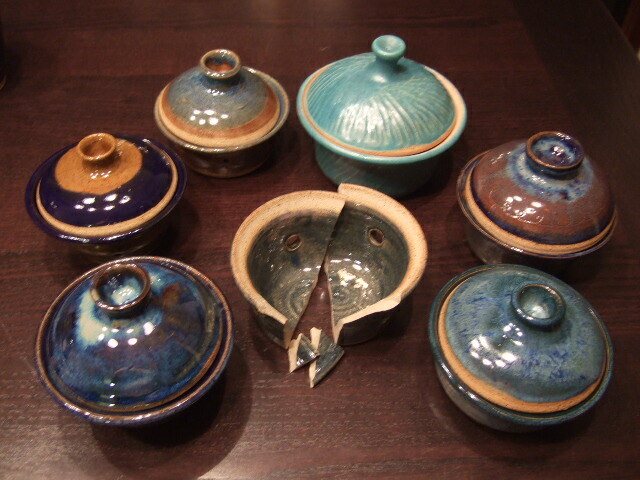 Even once you bring it home, you never know when a piece, or half a dozen, will tumble and crash. Every now and then, everything goes right. Find more perfect moments at Write Mind Open Heart. Since I will not be leaving the hospital for at least a couple more weeks (currently 30w1d and counting), I might as well go back to the Show and Tell I would have posted a couple weeks ago had I not been hospitalized. More than a year ago I showed you a lovely pot I’d made that I dropped on the concrete floor when I was taking it out of the kiln. 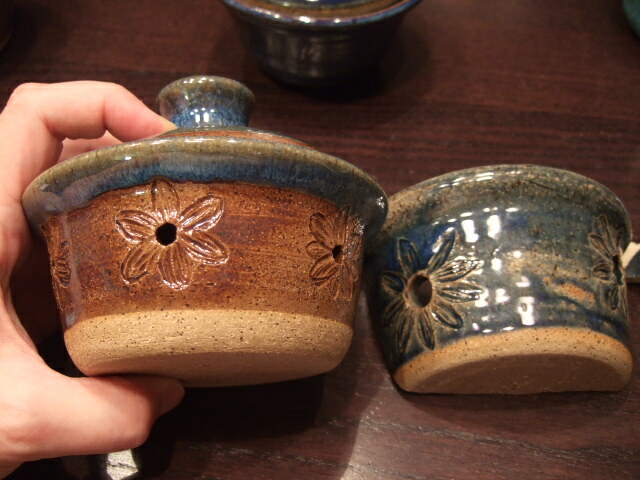 This pot was intended to sit in my pantry holding garlic (hence some decorative holes for proper aeration). 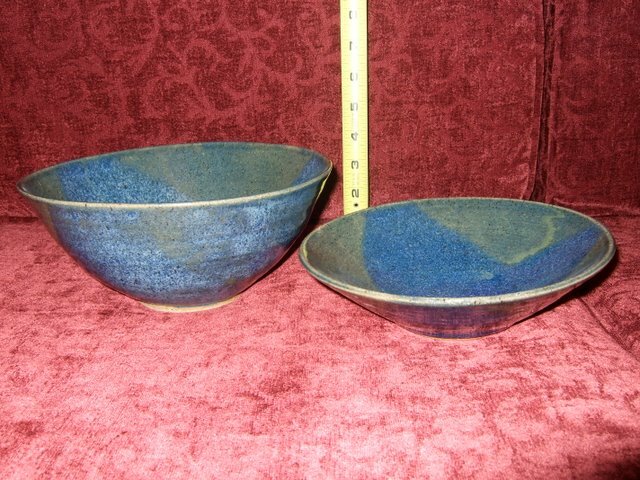 I talked about my approach of Zen non-attachment with pottery, and how that Zen does not extend to fertility. I subsequently showed you other examples of ruined pots that required Zen non-attachment due to no fault of my own, ranging from smaller incidents inside the kiln to The Great Pottery Calamity of 2008. I may approach things with a Zen attitude, but that doesn’t mean I don’t still want replacements for the ones I’ve lost. 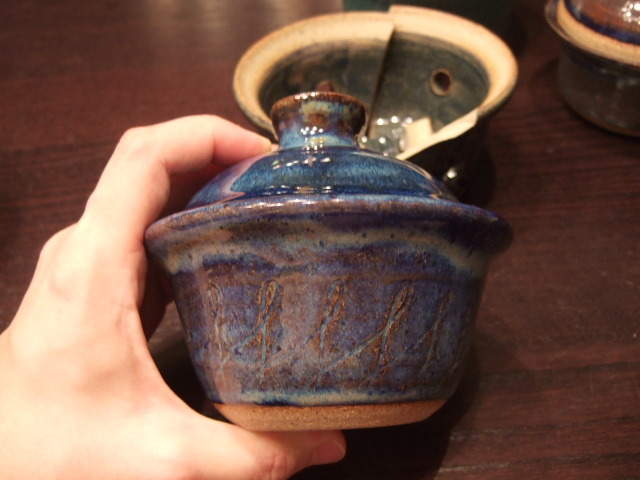 During my most recent round of pottery, I was set on finally replacing the lost pot. I decided to make some backups so that I’d be sure to end up with at least one for myself — having long ago given away three very nice pots with similar shapes, some for garlic, some without holes, to members of DH’s family, who showed a range of levels of appreciation (you can probably guess who was insufficiently appreciative). 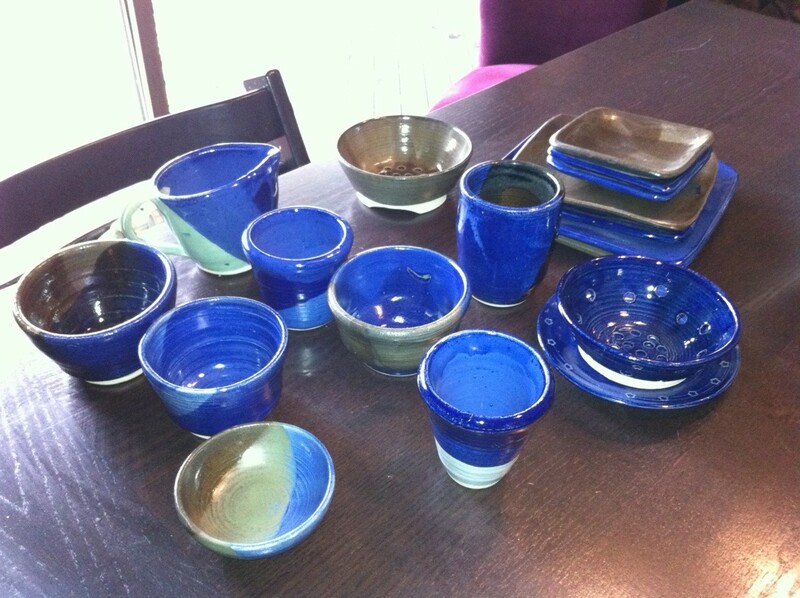 Finally, I have my garlic pot… and then some. My favorite of the bunch, not intended for garlic because there are no holes, from a different angle. Not that any cooking has been taking place in my house at any point during this pregnancy. But whenever garlic eventually gets purchased, it will have a home, finally. Sorry that I couldn’t post last week to show you the prizes won by the winners of my Blogoversary Contest. Turns out that being horizontal is not conducive to climbing stairs, fetching cameras, photographing pottery, etc. 2nd Prize for Lori. Yes, those are L’s for Lori (or for Lavender Luz if you prefer). The L’s go all around the cup in a decorative pattern. I was experimenting with wax resist. I won’t be making any more pottery for a loooong time, so in future Show and Tells I’ll keep showing you some of the pieces I made in this last batch as well as various non-pottery things. Next week: A resolution to my episode of Zen non-attachment, my very first Show and Tell from over a year ago. See what the rest of Miss Lollipop’s class has to offer for Show and Tell.